Here is a brand new silver Mercedes E63 AMG sedan that I vinyl wrapped both the roof and the chrome window trim + trunk handle on the rear. For the roof, we went with a gloss black vinyl wrap finish to give it a panoramic or gloss black painted look. In addition to the roof, the side roof rails were also wrapped in gloss black, which on this car extends from the bottom of the windshield to the back of the roof. 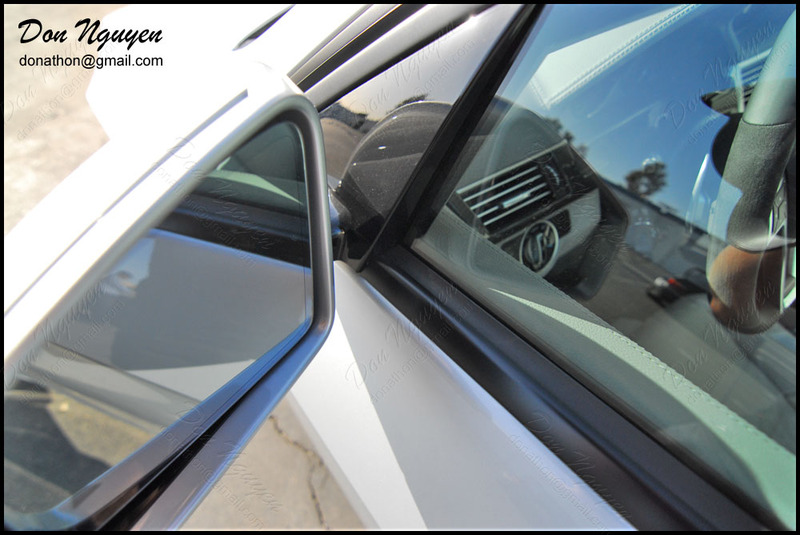 On the window trim, we went with the matte black vinyl wrap finish over the gloss black in this case, to give it a nice contrast and have it blend in with the rubber that's also around the window trim pieces. It makes the window trim pop a bit more versus just completely blending in with the windows, if that makes sense.